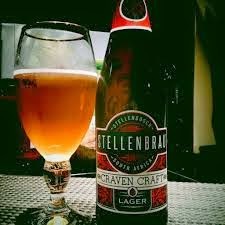 Craft Beer - The Stellenbrau Craven Craft Lager has been chosen as the best lager in the world - at the recent Global Craft Beer Awards in Berlin. Brewmaster, Deon Engelbrecht, attributed his success to comprehensive research, passionate partners and sufficient capital. He believes it is more difficult to produce craft beer than to make wine, as the process to produce craft beer has to be repeated many more times than when producing wine - making it more difficult to achieve the same taste every time. He is adamant that the term - "micro brewer" - doesn't have anything to do with the size of a brewery, but rather relate to what the brewer does and how he/she does it. LiquorWise - the liquor licensing division of The Licence Co - congratulates Deon and Stellenbrau on this top award, as well as for being a leading light to the increasing number of dedicated and enthusiastic micro brewers.